Life at Westview gives our young men opportunities to develop their social skills and to make their time at Westview enjoyable. The purpose of these programs is to show the young men that they can have a joyful life through appropriate, instead of anti-social, behaviors. These activities are one part of Westview’s effort to provide normal adolescent experiences for the youth in our care. These social events include trips, summer activities, and house activities. 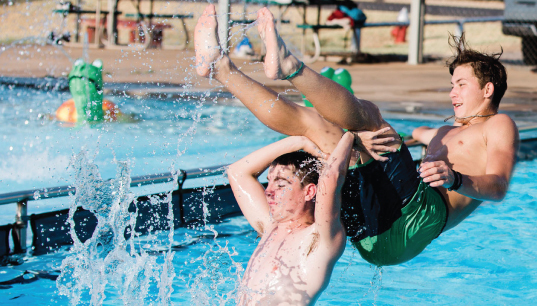 Even though our summers are short, the young men at Westview cram in a lot of work and fun into those short weeks. It is a time for work and worship, play and fellowship. 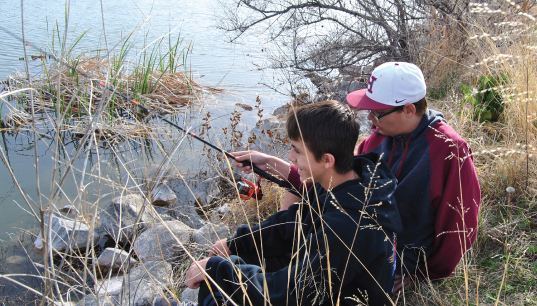 The boys discover useful skills, experience new things and places, and learn life lessons. In the constant presence of our loving caregivers, our young men make substantial progress in learning how to be men of faith, integrity, and responsibility. Right after the hard work of school is done, our summer starts with a “fun” trip. In the past, the young men and the staff take a trip to see the Oklahoma City Dodgers play baseball. Everyone enjoys hot dogs, and cheering the Dodgers on. When we come back, we go to work: yards are mowed, trees are trimmed, buildings painted, fences mended, groceries unloaded, and cottages deep-cleaned. Some jobs are done because everyone has a place as a part of the family; some jobs are done for pay so that each child can learn the value of hard work and the importance of being a good steward of the money that God gives us. Every day is a mixture of work and play. At bedtime, everyone is ready for rest! The guys swim every Thursday night; at other times they ride bicycles, fish ponds, play board games, watch movies, celebrate birthdays and trade baseball cards. Our summer of play ends with a trip to Six Flags over Texas for the day. The weather is usually perfect, and on the day that we go, the lines are usually short. Everyone gets to ride as many rides as often as they want. The young men soar as high and fast as they could want. Throughout the summer, though, there is one common denominator that is the core of everything that we do at Westview: the spiritual. Every meal starts with a prayer. Every young man goes to church camp. We meet for devotional, travel to the Summer Youth Series, help with Vacation Bible School, go to Bible class, sing at Sunday worship, and have our summer classes. At the heart of every group is a Westview staff member, patiently modeling the life of a godly person successfully confronting the challenges of the world.